This contest has ended. However, we'd like to offer you 25% off your order of Miserable colored pencils and/or pages. Just Enter Code: MISERABLE at checkout to claim this offer. Don't wait ONE GRAY MORE, click the button below to enter the giveaway. 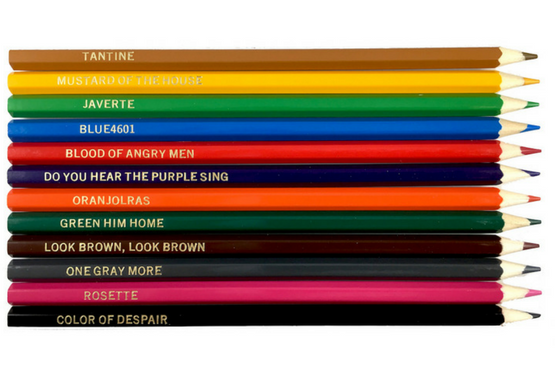 Set of 12 Les Misérables-Themed Colored Pencils. Hand-Stamped with gold foil. Each set comes in a clear hinged case making them easy to display. Can't wait? Take 15% off Les Misérable pencils and coloring pages. Just enter code: BREAD at checkout. 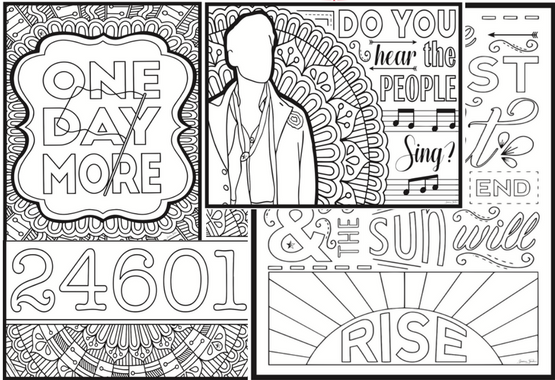 Pack of 4 high quality coloring pages. Each sheet is custom designed and displays a quote from Les Misérables. Includes TheatreNerds exclusive design not sold anywhere else. Only one valid email per person is allowed. Winners will be randomly selected on October 27th, 2017, and announced via email and Instagram on October 28th, 2017. By entering this giveaway you are agreeing to opt-in to our email newsletter. You may opt-out at any time by using the link provided in the email text. In order to be selected for the prize you must be opted-in at the time of the drawing. Shipping times for prizes are estimated at 3 weeks after winners are announced. 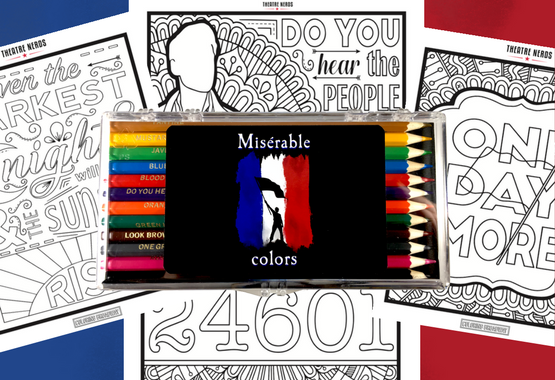 Winners will receive 1 set of Misérable Pencils and 1 set (4pck) of Les Misérables coloring pages. TheatreNerds & ThespianSwag reserve the right to alter, change, or remove any rules or guidelines of the contest. Odds of winning depend on number of entries and winners will be randomly selected from the list of eligible contestants as per the terms of this giveaway. Signing up for the Swag Shop newsletter gives you exclusive offers, deals, & information on our products.